This is most definitely my favorite gift guide of the season! I've become quite the coffee connoisseur myself and always look forward to waking up to a hot cup of coffee in a cute mug. The cute mug is a must! 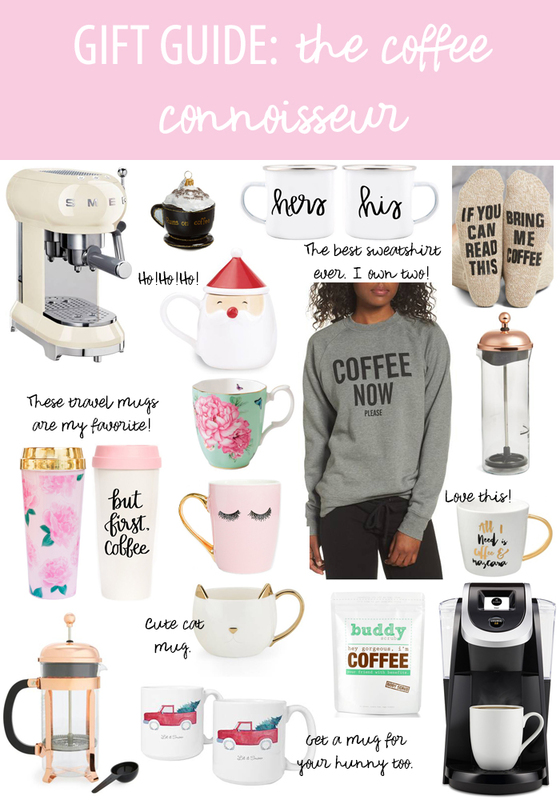 I'm sure all of you have a caffeine lover in your life too - so I've handpicked some amazing gifts to give them. SO many amazing mugs and tumblers, a darling ornament, and even coffee clothing (btw the sweatshirt is the best one I've ever owned). You'll even find a milk frother, a french press, bath scrub for the coffee drinker who also loved to pamper themselves, not to mention coffee and espresso makers. If you didn't see yesterday's post, there are some amazing sales already happening. I know, already, right?! I'll keep adding to the list as the week goes on. You can expect some HUGE Black Friday and Cyber Monday sales so make sure to stop on by frequently over the holidays. I'm gearing up for a busy week, as Justin and I are visiting family up north, and I have a lot of work to do. Fun work, but work! My goal is to keep you all updated throughout the Thanksgiving holiday with all of the fabulous deals to be had and some new outfits I've got coming your way. Enjoy the rest of your Sunday and I'll see you all tomorrow for a very special giveaway you could win for you and a friend! Btw you can get 25% off any of the Sweet Water Decor items using the code pardonmuahinsta.